John Heywood's candid photographs of children are essentially a record of everyday life, and over 100 of them were exhibited in 1990 at Bethnal Green Museum of Childhood (now the V&A Museum of Childhood). Some of the images in the exhibition showed gentle scenes, such as bathing the baby, a family outing to the park, or playing at home. Others went for the unvarnished truth, at least some of which was still considered fairly shocking when they were taken in the early 1980s - teenage parents with their baby, boys enjoying a quick cigarette on the bus to school. Others again might be considered inappropriate for exhibition just twenty years later - boys playing with quite realistic-looking toy guns, or a naked child paddling in the sea. This image is one of seventeen selected from the exhibits. Black and white photograph of landscape proportions, mounted on white card. 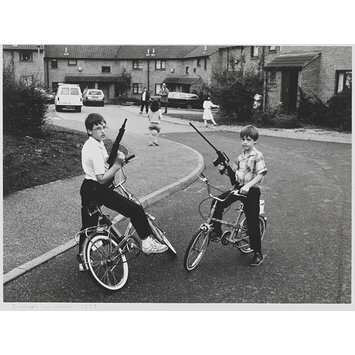 The image shows two boys, wearing dark trousers, trainers and short-sleeved shirts, standing astride their bicycles: they face each other and are holding a toy gun apiece. 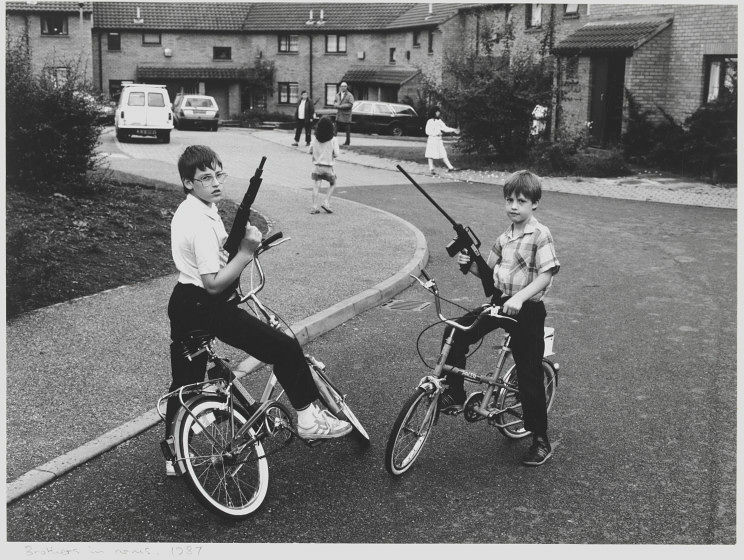 In the background are the houses and gardens of a housing estate cul-de-sac. 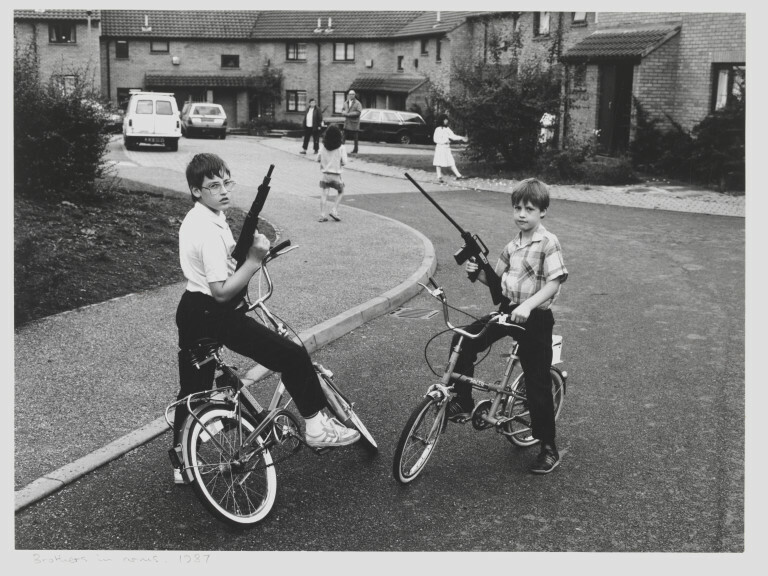 Selected from over 100 images shown in the exhibition at Bethnal Green Museum of Childhood (bought from the photographer - RF 92/1572 ). The image shows the photographer's nephews.